Looziana Basset Rescue is a non-profit, all volunteer organization dedicated to rescuing homeless and unwanted basset hounds in all parishes of Louisiana for the love of the breed. We primarily work with bassets and other hounds but also try to help other animals in need when possible. The dogs that come under our care receive thorough veterinary examinations, with all necessary treatment provided to restore them to good health. Our rescues are temperament tested and socialized in our loving, supportive foster homes or boarding facilities. We have a comprehensive adoption process, which includes home visits and veterinary references. In an average year, we take in 100 dogs and place the majority of them in well-matched, carefully screened permanent homes. 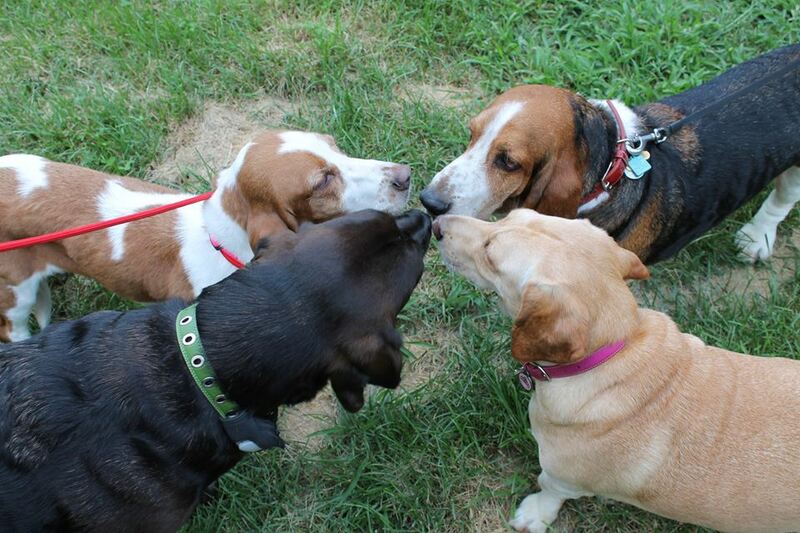 Some of the senior basset hounds are placed in permanent foster homes to live out the rest of their lives. We are a 501(c) 3 nonprofit organization. Our tax ID# is 72-1515888. The Current State of Looziana Basset Rescue, Inc. The number of dogs in the care of Looziana Basset Rescue is always changing. In addition to the dogs that you see posted for adoption on our website, we also have dogs that are new to our rescue that we have not had time to post yet as well as permanent foster dogs that we do not post on our website because they will never be available for adoption for a variety of reasons. Our two biggest needs are always foster homes and donations. The donations are used to pay our vet bills as well as boarding fees for the dogs that we do not have foster homes for. Once again, Looziana Basset Rescue, Inc. is a 501(c)3 non-profit. All donations are tax deductible. If you would like to receive e-mail updates regarding Looziana Basset Rescue activities, please consider signing up for our monthly newsletter, by clicking HERE to enter your contact information. Thanks so much for your continued support of our mission.